Comments: Double LP. Cover has small ding on bottom right corner, light wear on other corners. Download may not still be active. The Horrors are an English indie rock band that have that great drum and synth sound that works for me. They play with sounds the way Pink Floyd would. For any fan of Temples, Pond, Tame Impala and, of course, Pink Floyd. The Horrors have risen from a spate of NME-touted bands that mostly fizzled or got crappy to steadily improve upon themselves with each subsequent release. 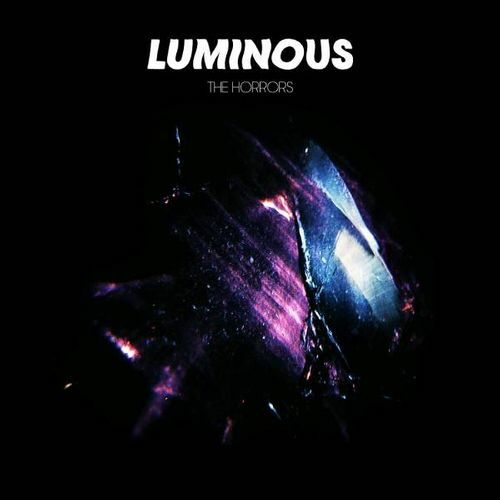 Following the Birthday Party-inspired noise pop of their debut, still-noisy yet more refined follow-up and the more grandiose Skying, The Horrors pull it all together masterfully on Luminous. “Chasing Shadows” emerges unhurried waiting nearly a full three minutes before it unleashes its shoegaze guitar bends, gleaming synthesizers and a steady beat and bassline that keep everything circling around them. “First Day of Spring” continues in the same fashion, pairing scenic guitar noise with a steady groove and Faris Badwan’s soaring tenor. From there, Luminous gets more and more interesting. “So You Know Now” pulls a fake-out, starting like a ballad and continuing into grooving new-waver. “In and Out of Sight” pours on synthesizers whirling like dancefloor lights while the band’s spectacular rhythm section keeps things propulsive yet always grounded. Despite these forays into more rhythmic territory, Luminous doesn’t feel like a departure—there’s still copious guitar noise on songs like “Jealous Sun” that feels like a bone thrown to longtime fans, and even with its Giorgio Moroder-style synths, “I See You” packs a dreamy chorus and room for thunderous drum breaks. It’s remarkable that The Horrors are able to incorporate these new sounds into the fold without missing a step. Luminous might just be the best thing they’ve ever done.